FREE Frozen-Themed ABC + MATH Download! You are here: Home / FREEbies / FREE Frozen-Themed ABC + MATH Download! Get a FREE Frozen-Themed ABC + MATH Download!! 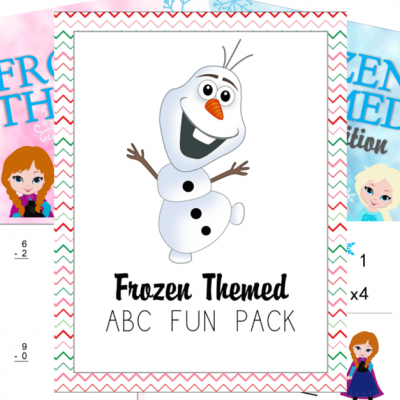 Just head over to Educents to get your FREE Frozen-themed ABC + MATH Fun Pack (downloadable) from Frugal Homeschool Family! !